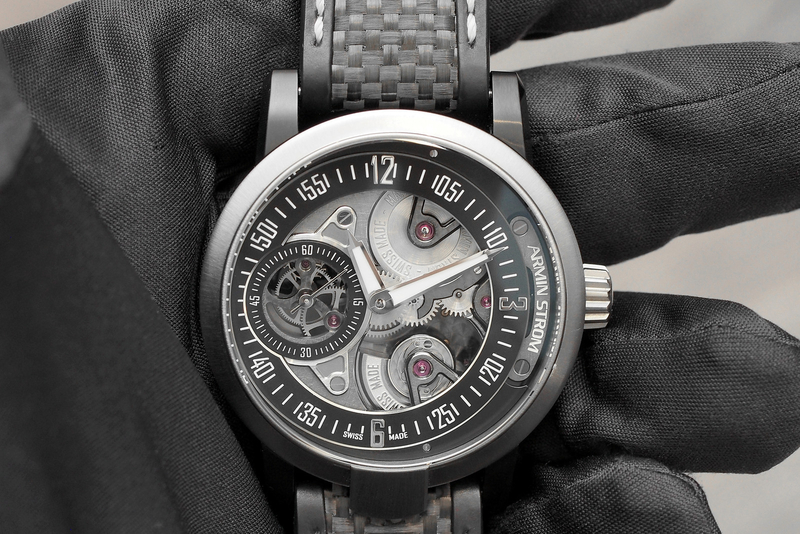 This is the Armin Strom Racing Gravity that was launched at Baselworld 2014. It is presented in a 43.40 mm by 13.00 mm black PVD treated stainless steel case, with a titanium bezel and crown. 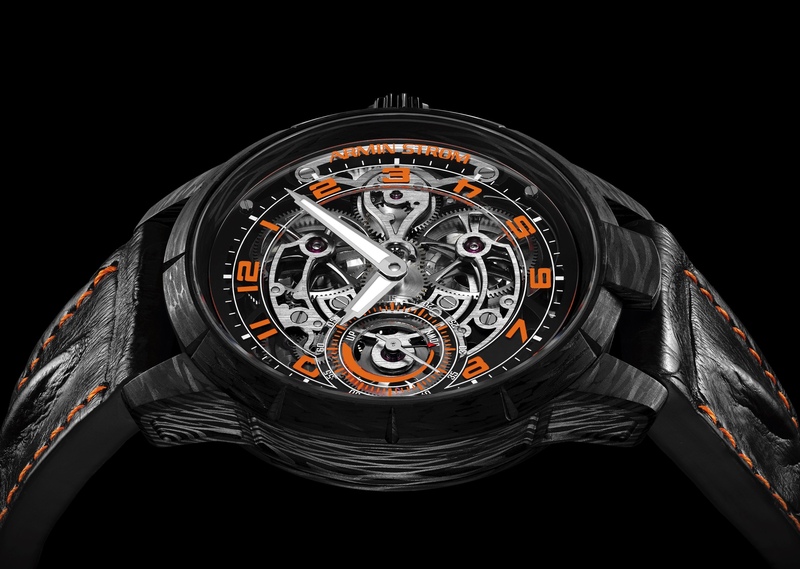 Armin Strom is one of the sponsors of the Marussia F1 team, and the movement bridges of these limited edition timepieces are made from the original motor block of an F1 car. Armin Strom in-house caliber AMR13-MR is self-winding and features a single going barrel good for a 5-day power reserve. The movement’s micro-rotor that winds the barrel is visible on the dial side of the watch. It runs at 2.5Hz, has 32 jewels and 171 total components. 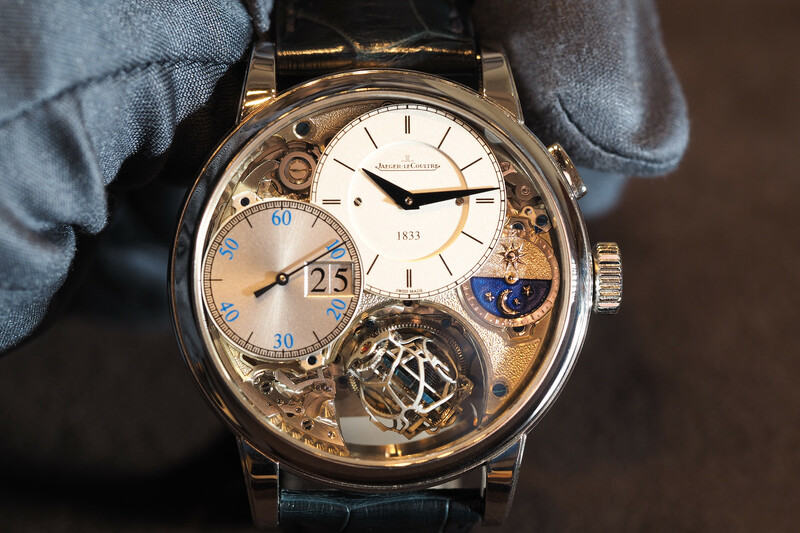 The dial has Armin Strom’s signature off-center layout that displays hours, minutes and small seconds. Sapphire crystals front and back. Black dial ring with applied numerals. 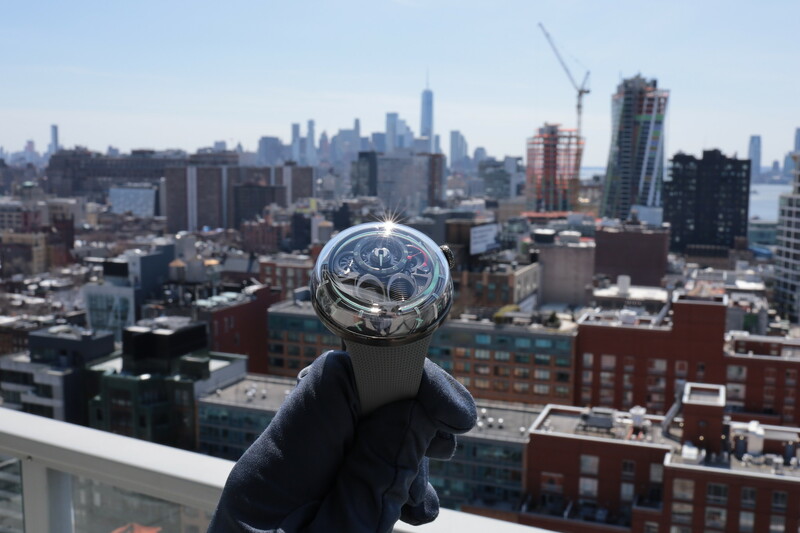 The hands are in stainless steel, with luminous material on the hour and minute hands. Water-resistance is 50 meters.